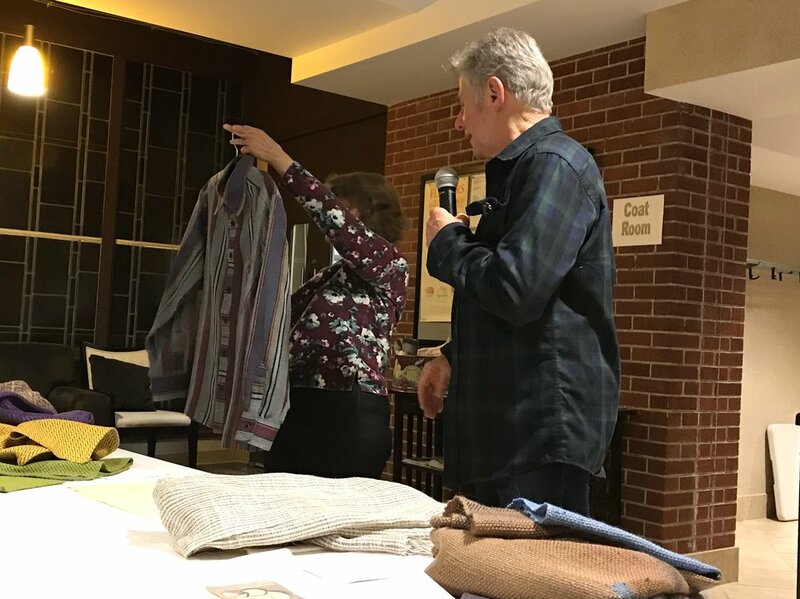 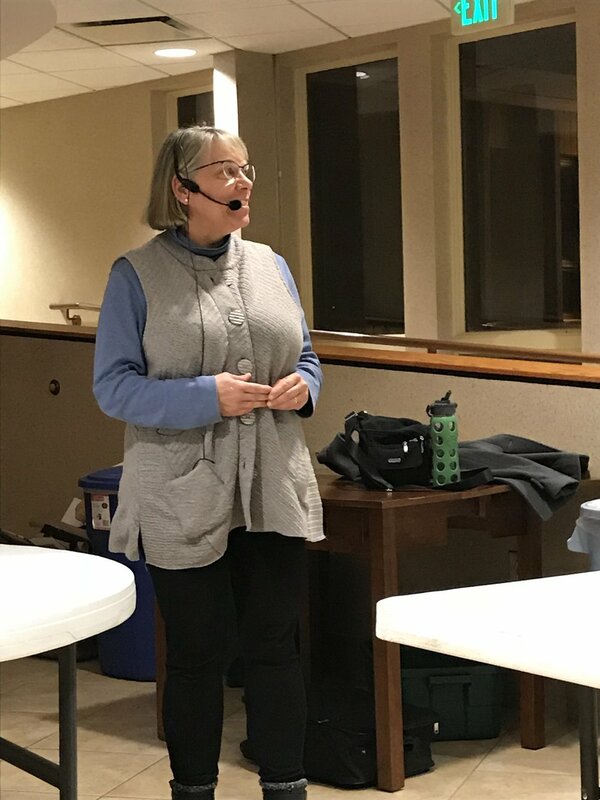 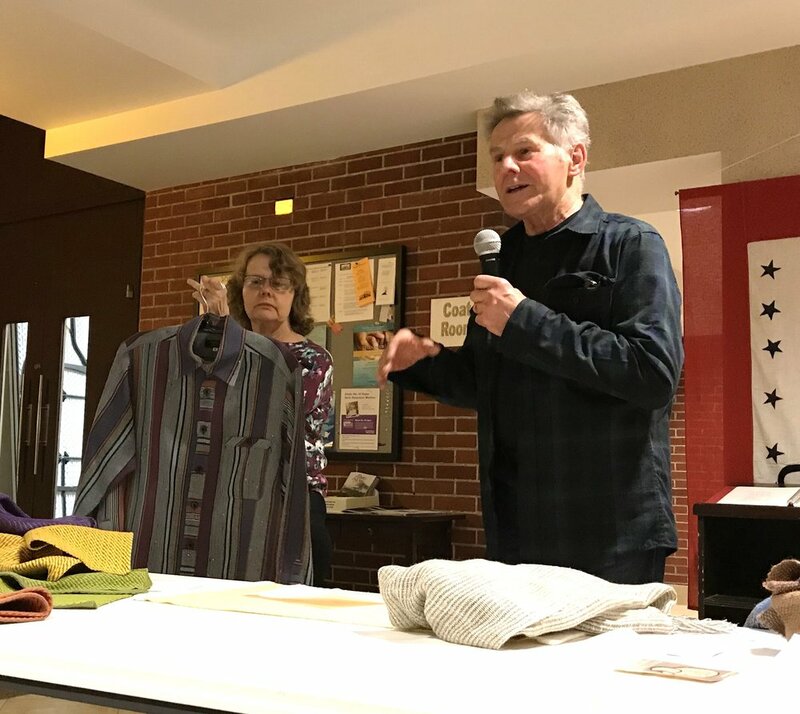 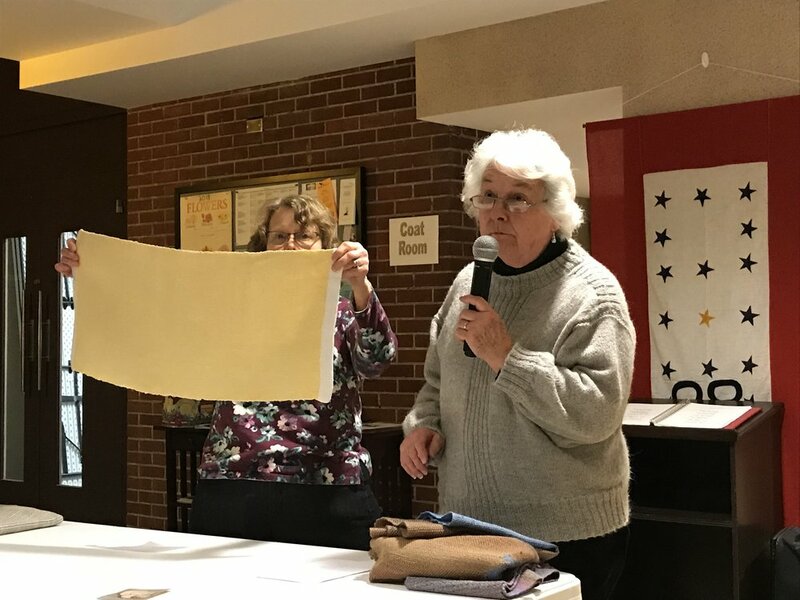 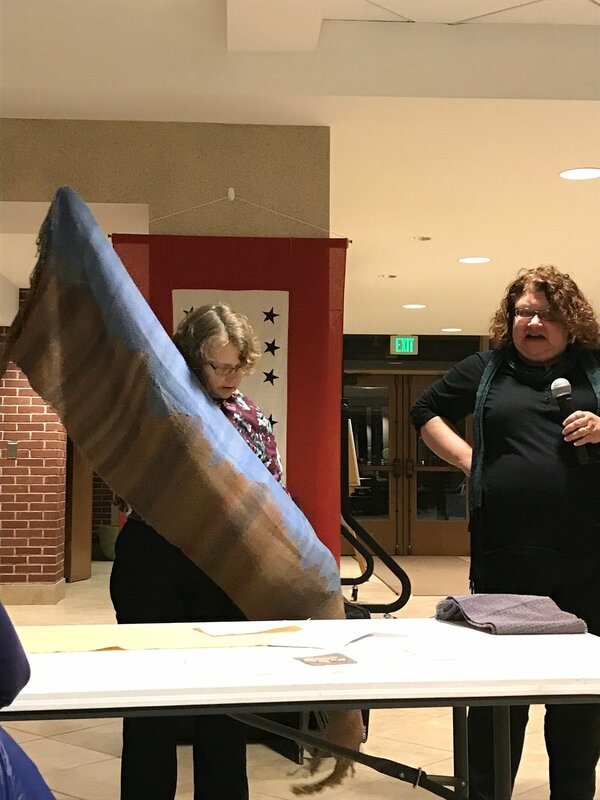 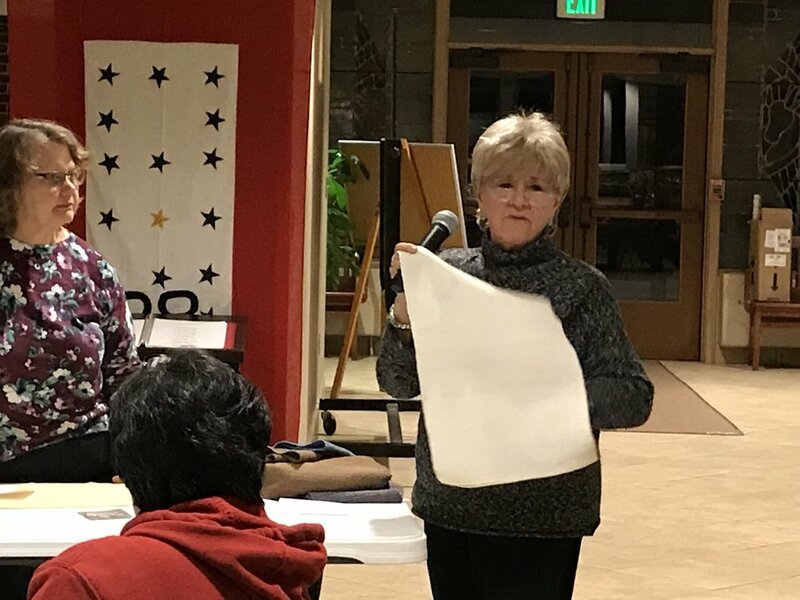 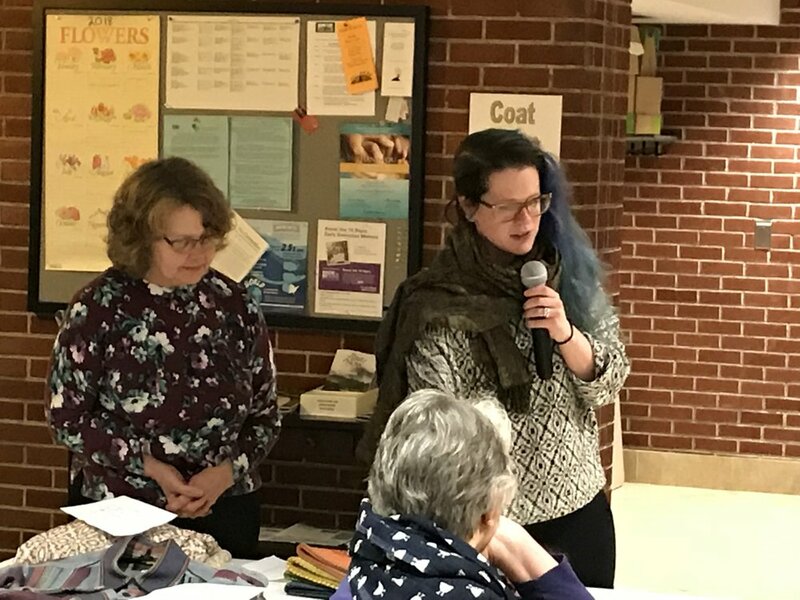 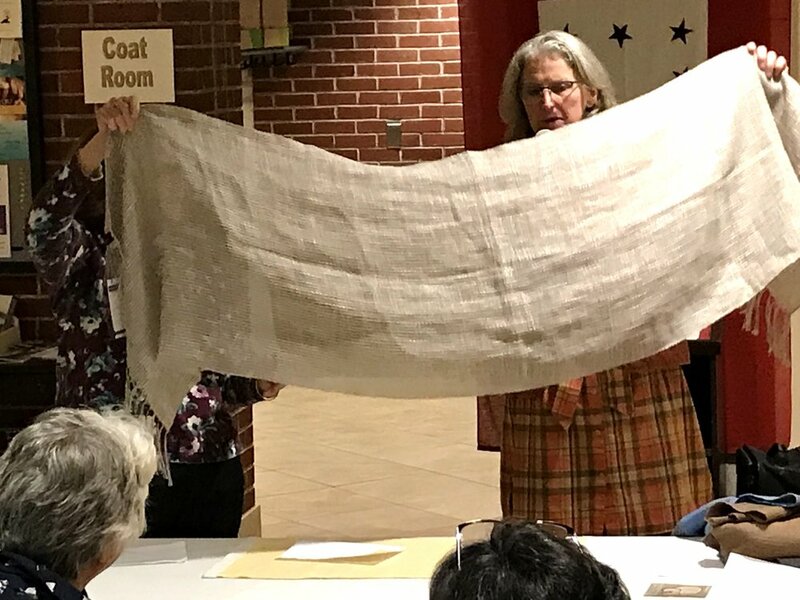 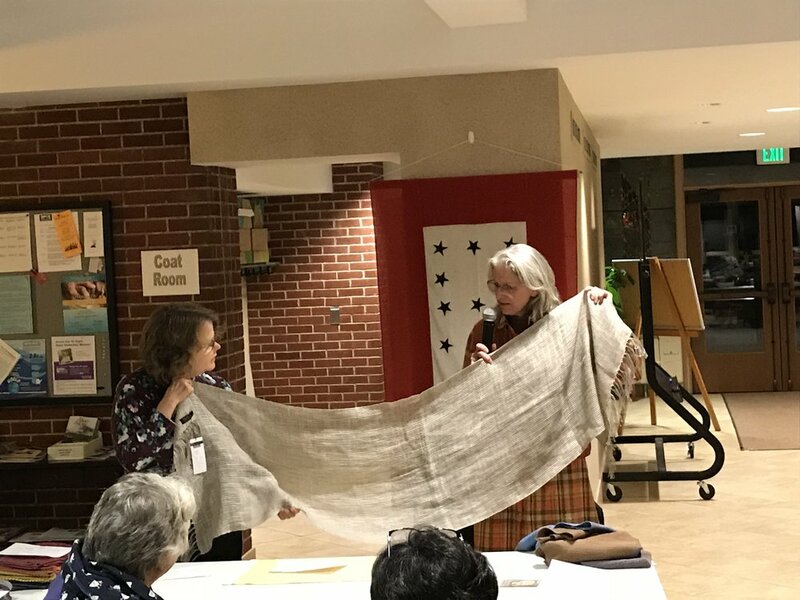 Susan Conover of Conover Workshops came out from Ohio to deliver a program and two workshops focusing on flax and linen. 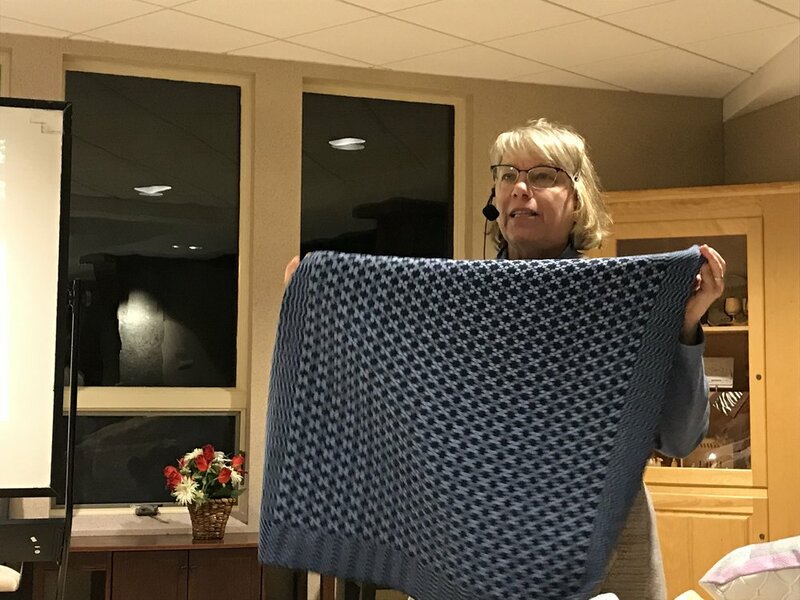 She brought a huge array of simply gorgeous samples. 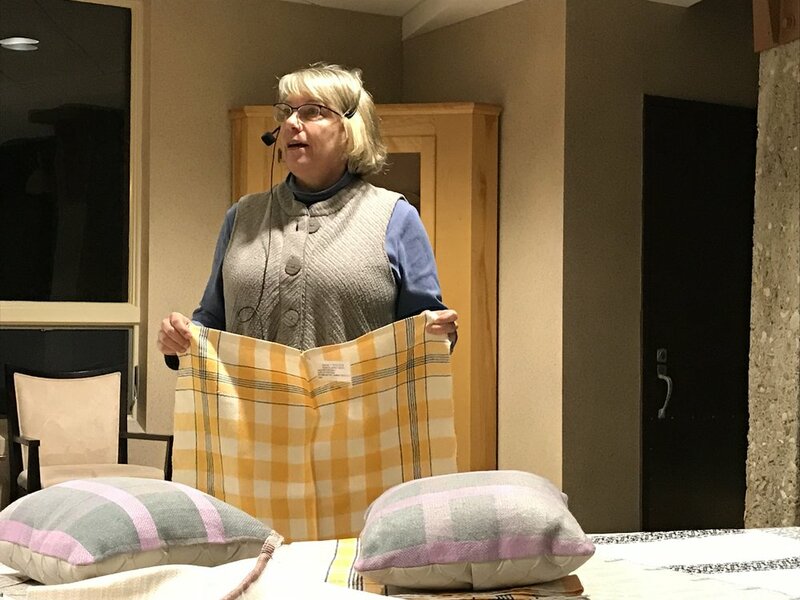 At the evening program, she showed a short film featuring her neighbor growing and processing flax. 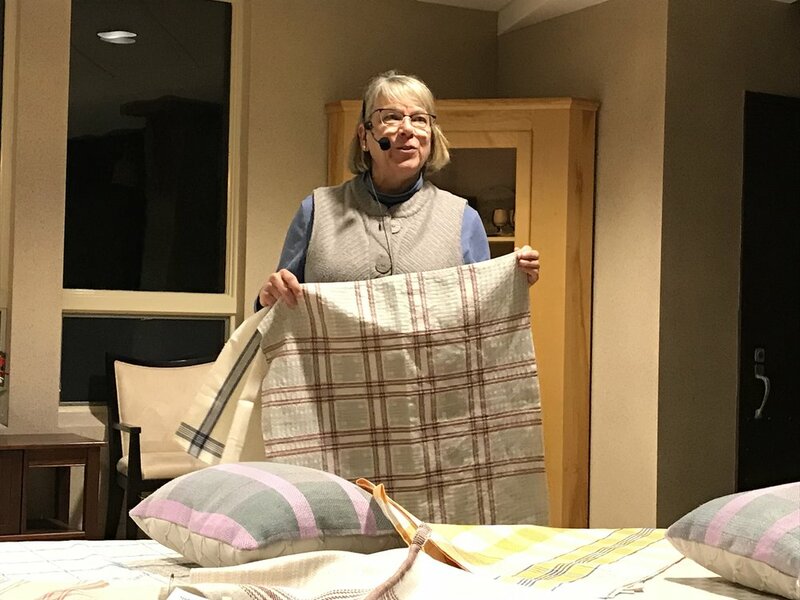 Show & Tell featured items guild members had made using linen. 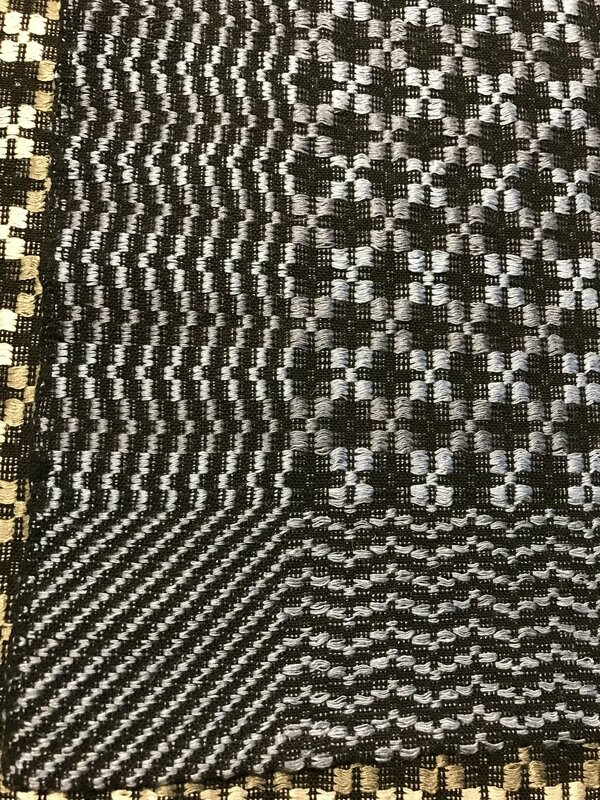 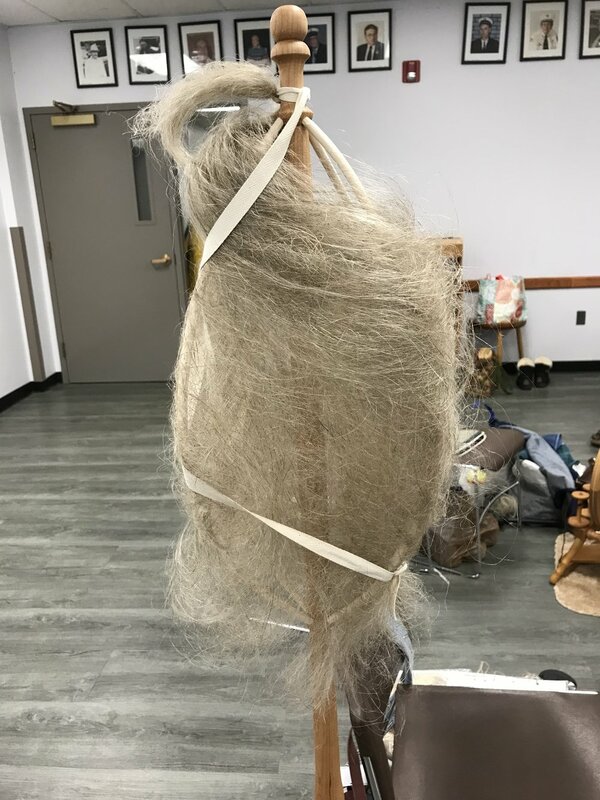 The one day workshop on Friday, Mar 9, covered spinning flax into linen. 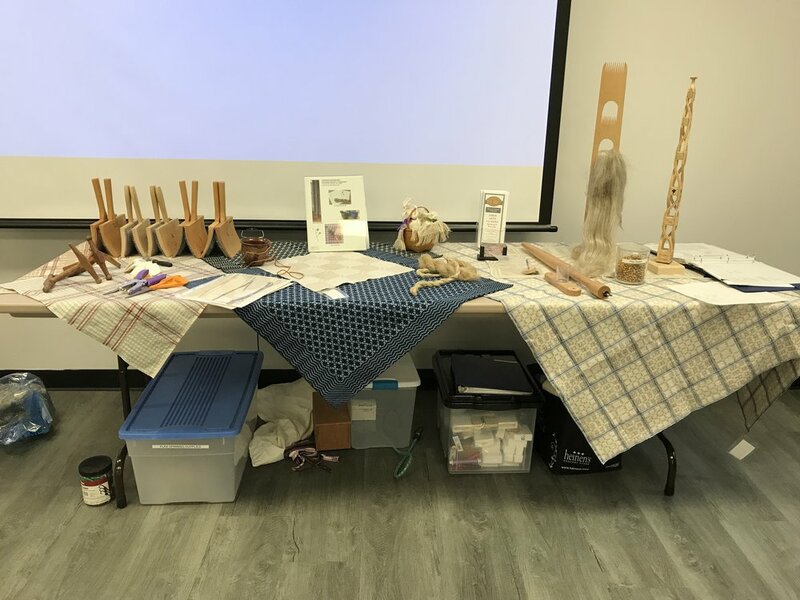 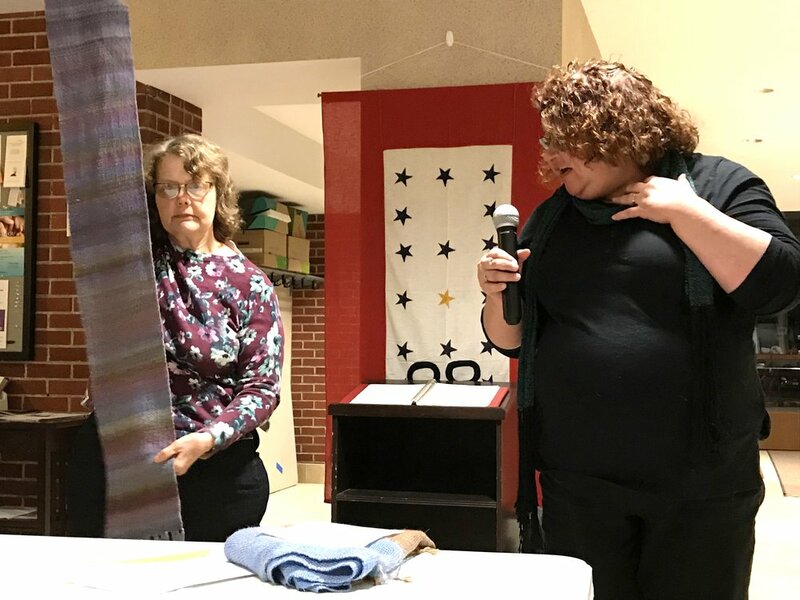 Participants got to spin various fiber preparations, culminating in dressing a distaff with line linen and spinning it into beautiful yarn. 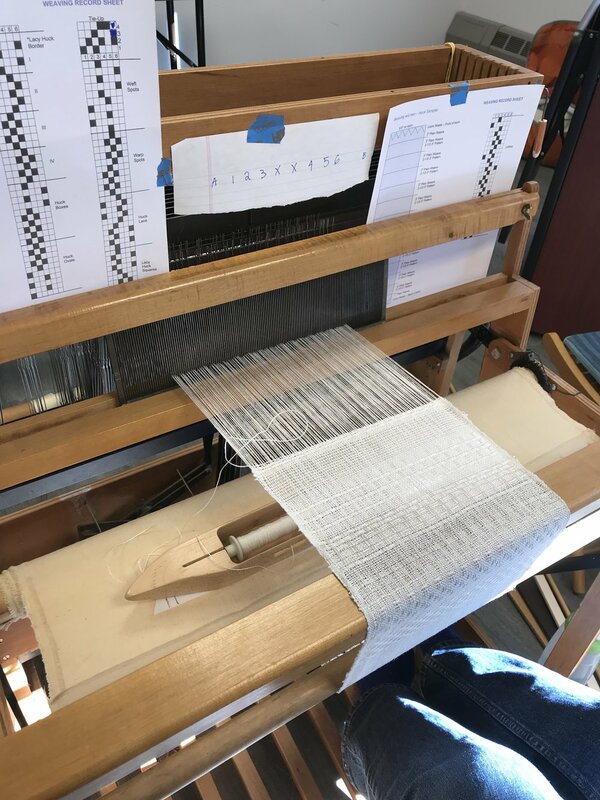 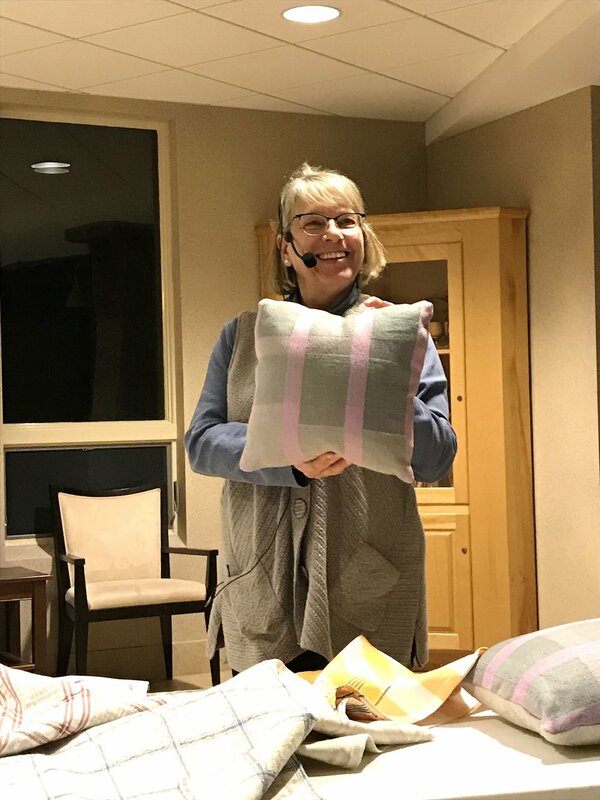 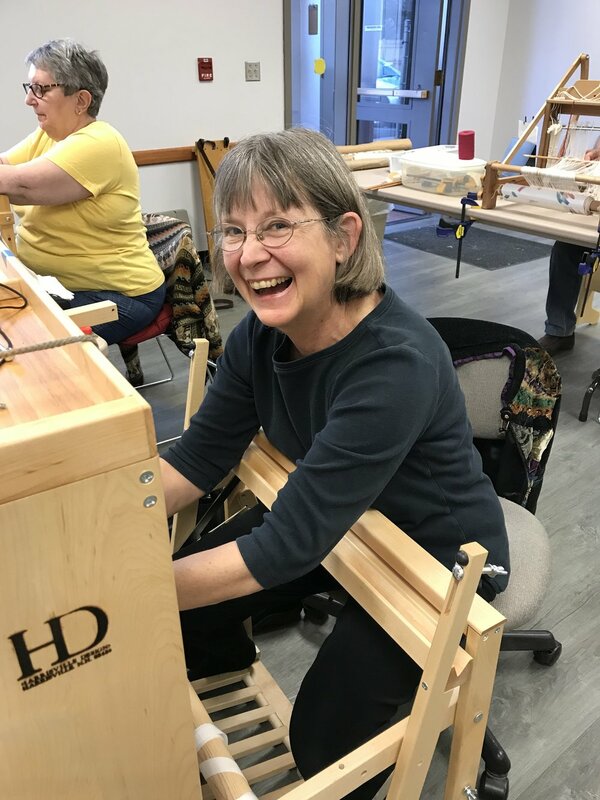 In the two day workshop on weaving with linen, Mar 10-11, Susan led participants through dressing the loom back to front in the Swedish style. 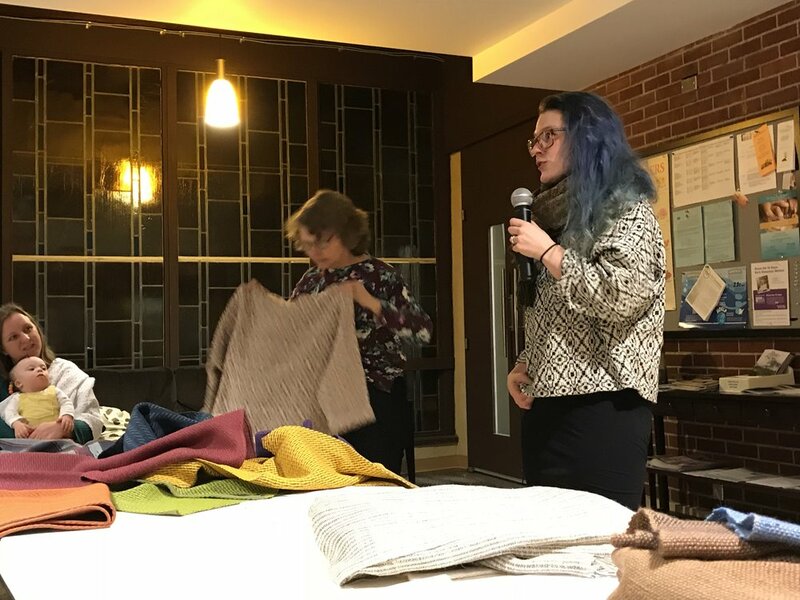 She imparted many tips, including a tie-on method new to all of the participants. 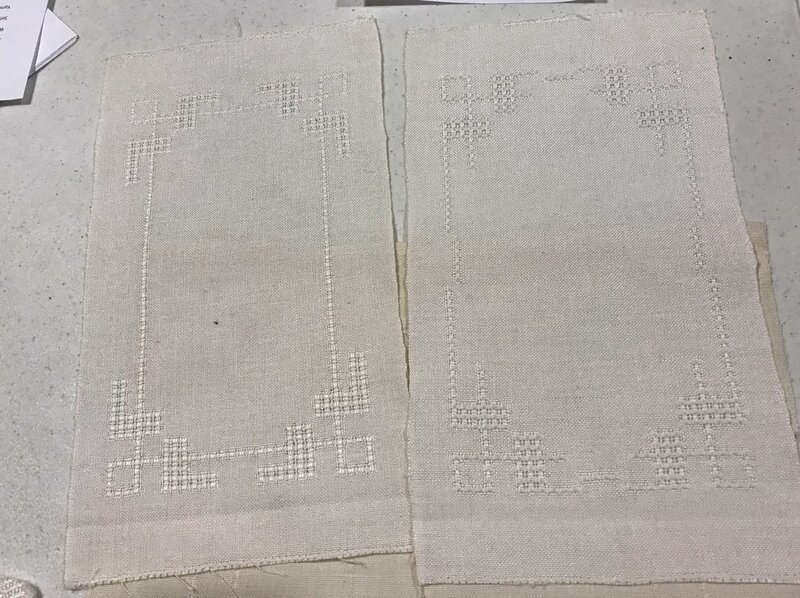 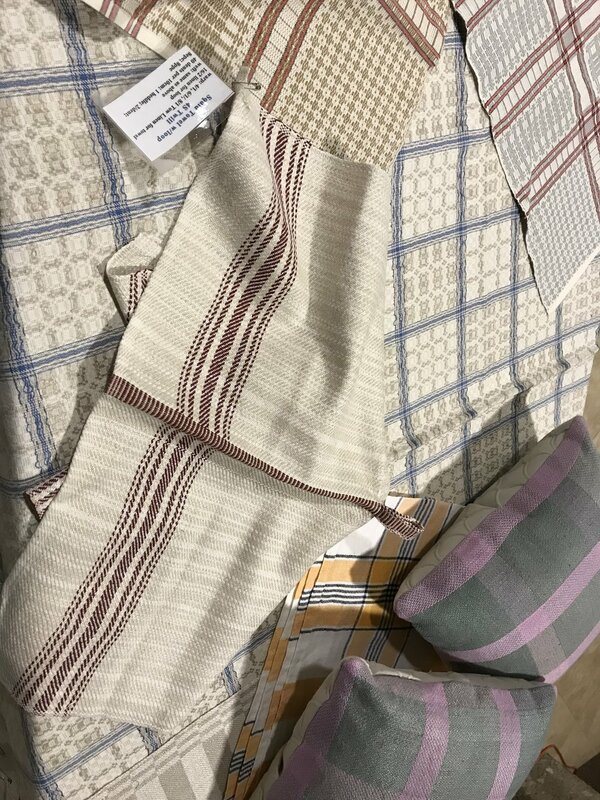 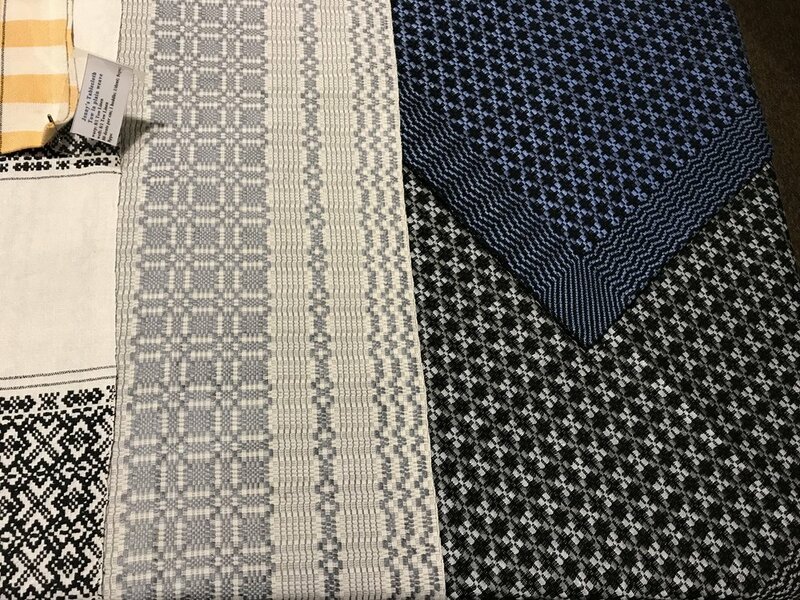 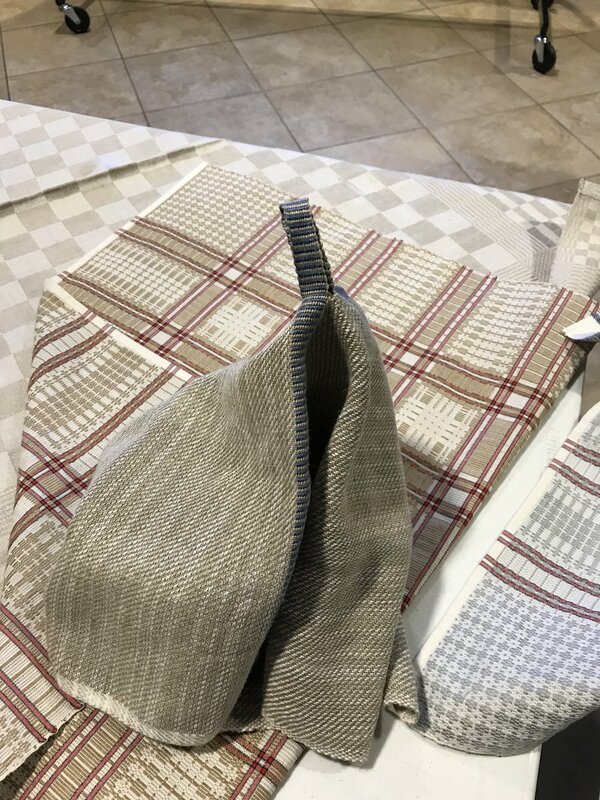 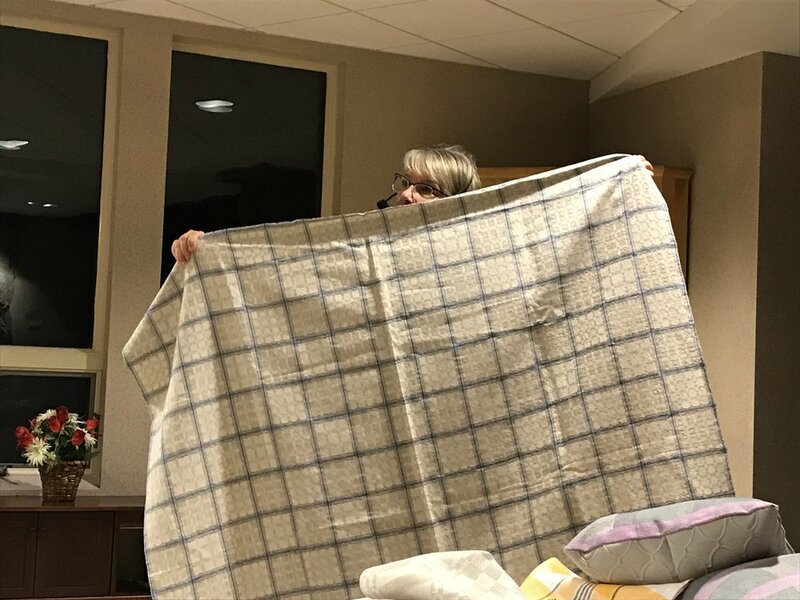 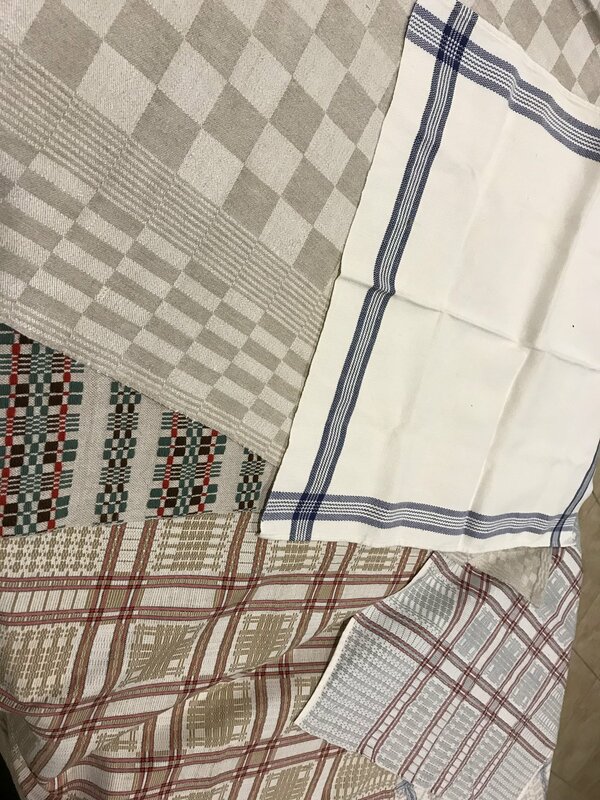 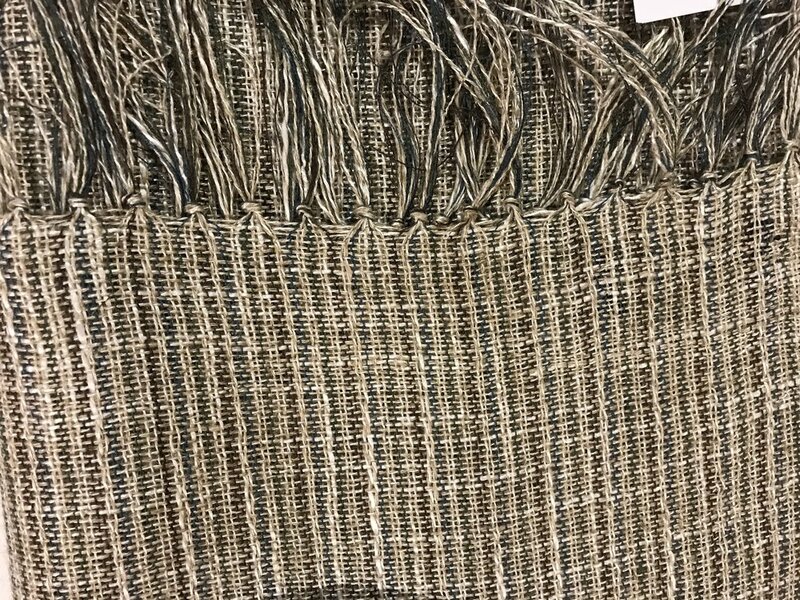 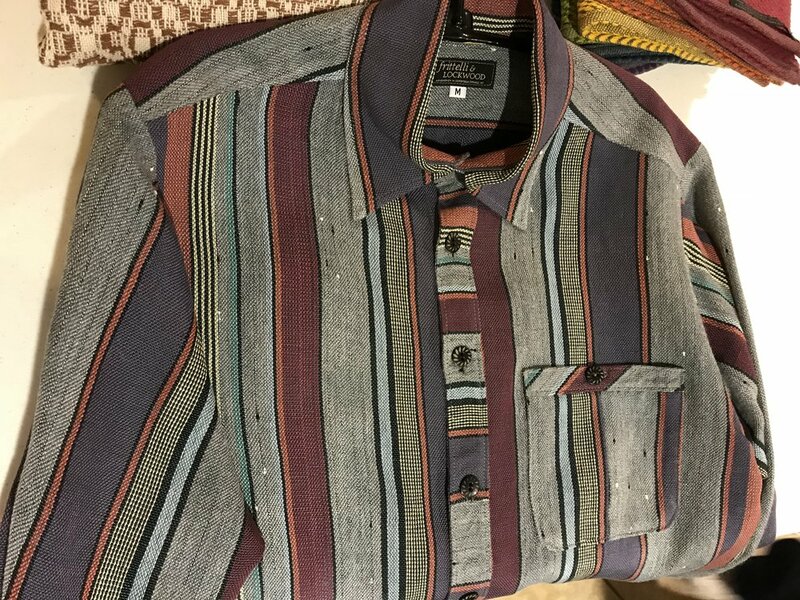 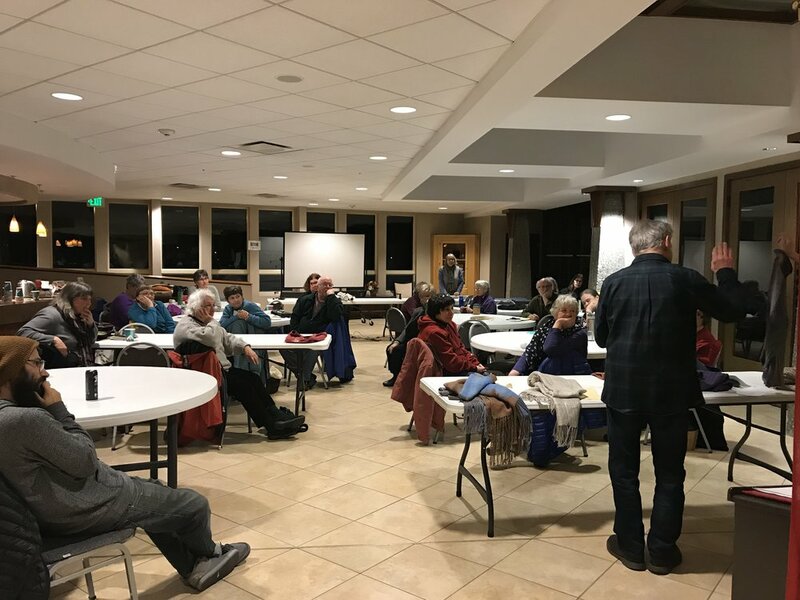 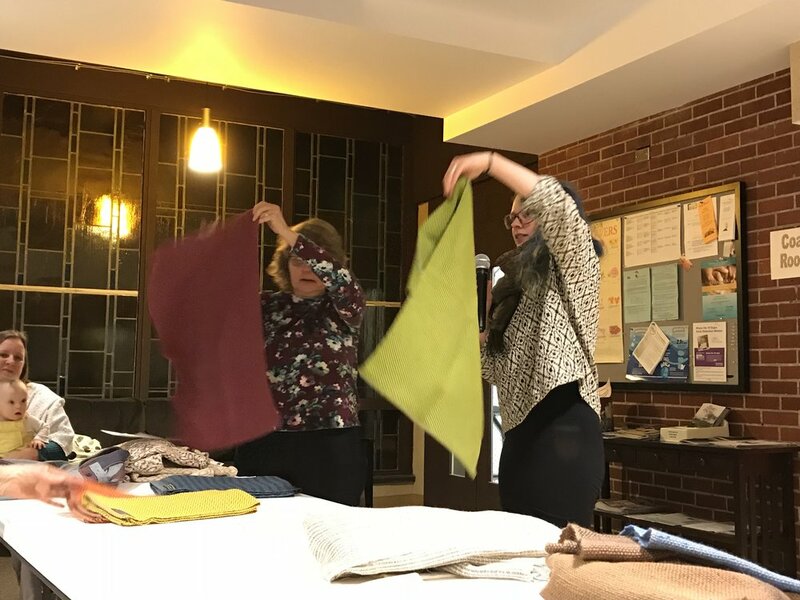 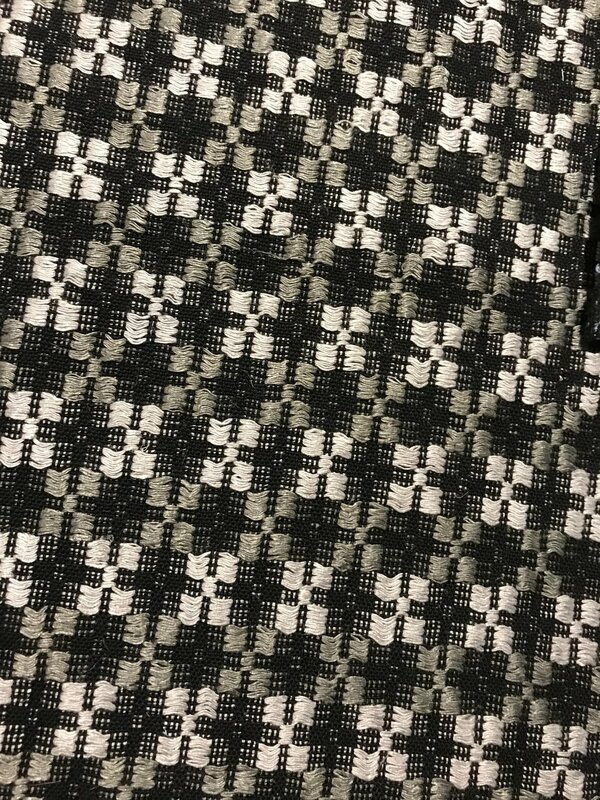 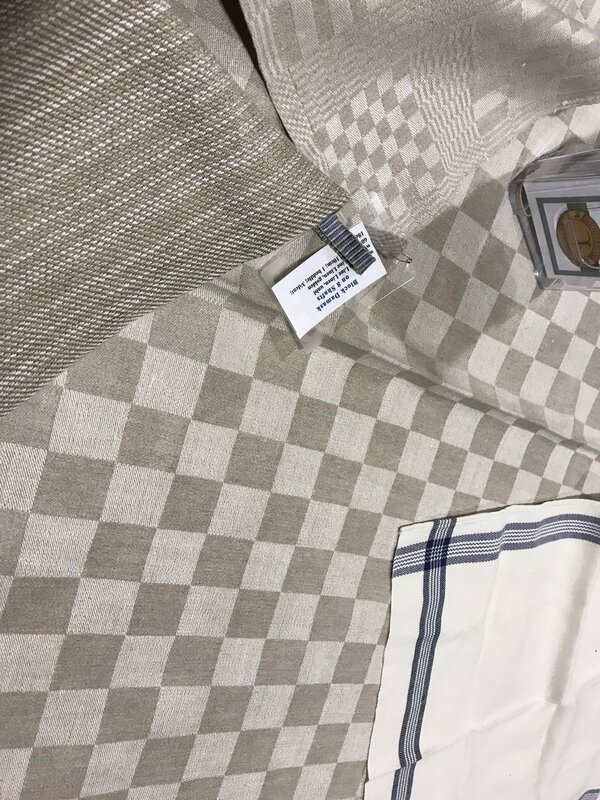 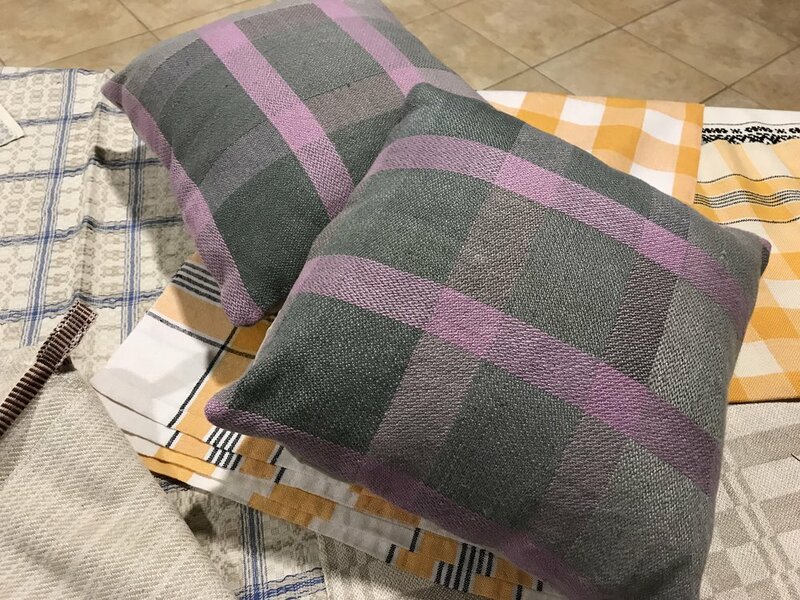 Despite the range in experience among the participants, from less than 1 year to 20+ years, everyone left having learned many new things and feeling much less intimidated by linen.